Donald Trump is going to regret referring to the next president of the United States as a nasty woman. Let’s face it: The Orange Menace is way out of his league in this race. Way over his beaver-tailed head. Well, Donald, I hate to break it to you, but you’re going to lose. Bigly. You’re behind in every national poll and most state polls. You have no conceivable path to 270 electoral votes, believe me. And you won’t admit it. Sad! The women of this country hardly needed another reason to vote against Trump, but they got one last night. #NastyWoman and #NastyWomen exploded on Twitter, along with #BadHombres, another slur Trump used in an apparent move to show how “in the know” he is about the Hispanic community. All of this was at the same time that taco trucks were ringing the Trump Hotel in Las Vegas (surely you remember #TacoTrucksOnEveryCorner?). Cities across America are experiencing the same public presence of taco trucks. And get this: They’ve been registering people to vote. 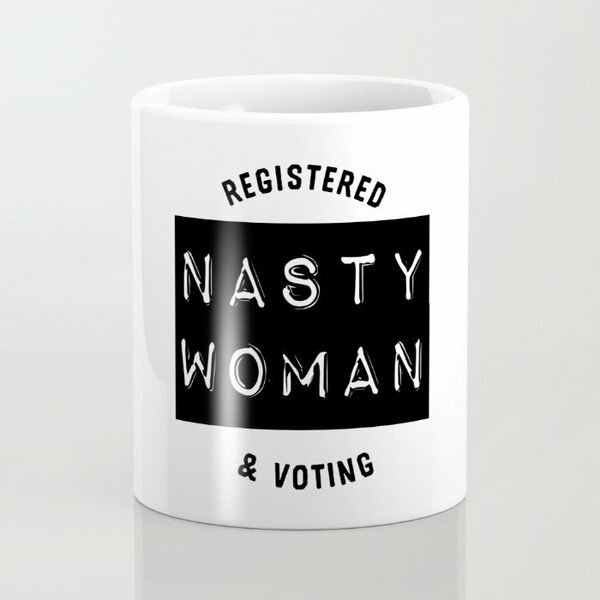 Enterprising companies quickly started offering NastyWomen merchandise. You can get pillows, needlework kits, T-shirts, mugs, jewelry, and more. No, you’re toast, Donald. Your brand is tanking. Your new hotel in Washington, D.C., can’t fill up its overpriced rooms, and you’ve been forced to lower the nightly rates. No one is buying your ties (made outside the U.S.), and associations are not booking meetings at your hotels. You’ve become toxic in business. So, come on, #NastyWomen. Let’s give Hillary Clinton a YUUUGE victory come Nov. 8. Even if Donald Trump refuses to accept the outcome, the rest of the country will. And we’ll be glad not to hear that whiny voice and see that orange face anymore. Believe me.